Firstly we would like to say thank you to the 85 people who responded to the survey. The response has been great and we think that with 85 peoples responses we have a good base to start building on this project. 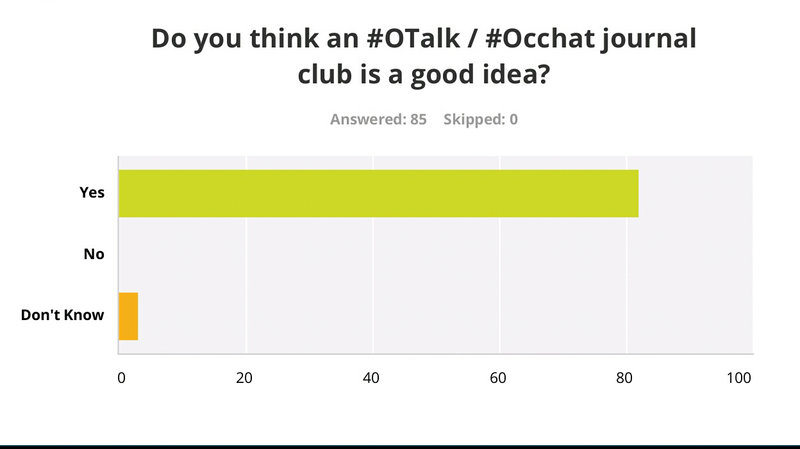 That said it is a new adventure for OTalk / Occhat and we are sure it will develop as the project goes forward. You would be right in thinking that the above statement assumes that the project is going forward, that would be a resounding YES! A number of people suggested that a range of media items would be suitable for inclusion hence the Journal (Media) Club title. 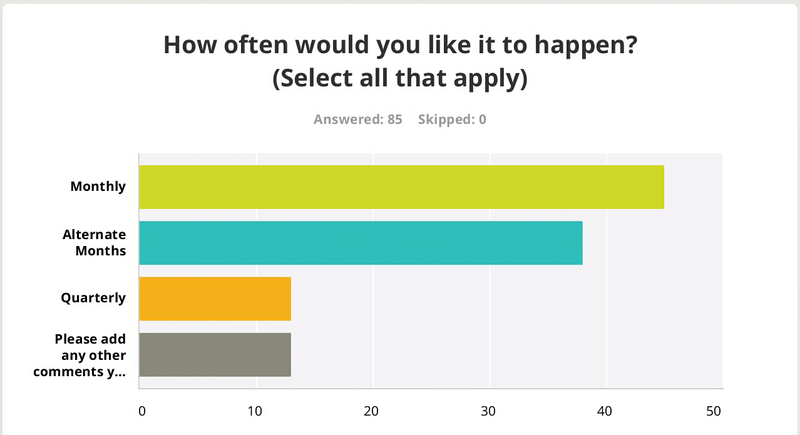 Thinking about how often to hold the club was not such a clear response, however the majority of responses stated monthly. So we have reserved the 1st Tuesday of each month for Journal (Media) Club. This will also ensure a mixed focus on both OTalk (OT Practice) and Occhat (Occupational Science) topics. You do not have to engage in every months topics as we are sure some will be of more interest than others to the mixed group that is OTalk / Occhat. Looking at the sources for journals was very interesting, we wanted to be as inclusive as possible. 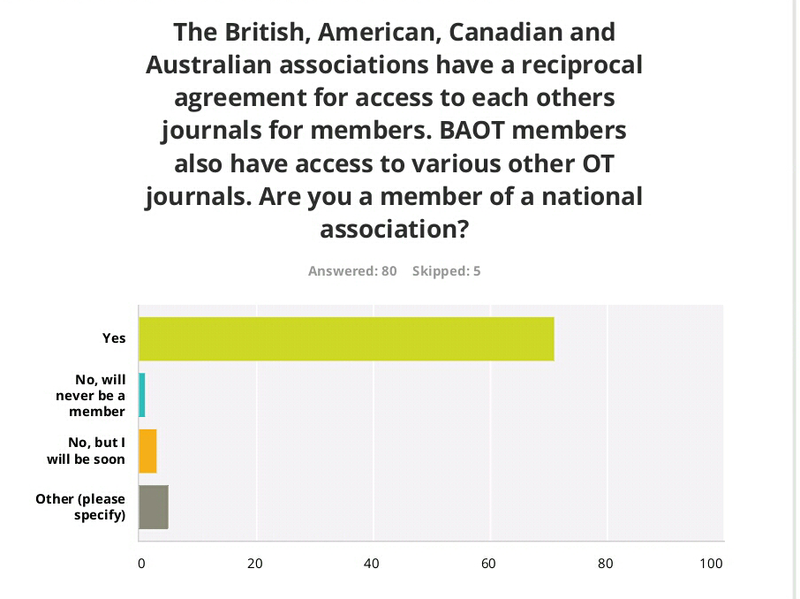 The responses indicated that most respondents are members of national associations which have reciprocal agreements about access to journals. Opening up to other media sources also helps with inclusion. Over time more sources will become open access, but we have to look at what is available right now. You can see that having a mixture of resources is definitely what the community wants. 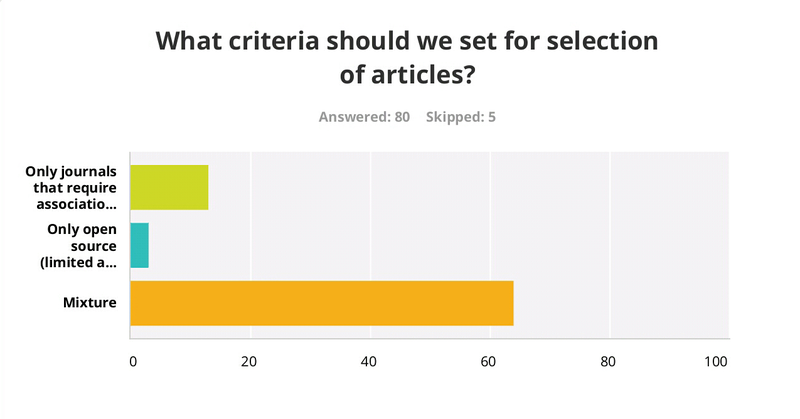 Questions relating to how to facilitate a journal (media) club within the OTalk / Occhat community has shown a mixed response and therefore we propose to start the journal (media) club by posting the article or media source reference on the blog. If it is open access then we can post with appropriate attribution direct to the blog. If not then it will be a reference and details of how to access the resource. The blog comments can then be used for sharing as in-depth a discussion as is required for the activity to have meaning for the community. One month later will be scheduled for the OTalk / Occhat discussion on twitter. We hope that this will support individuals to engage in the way that they wish. 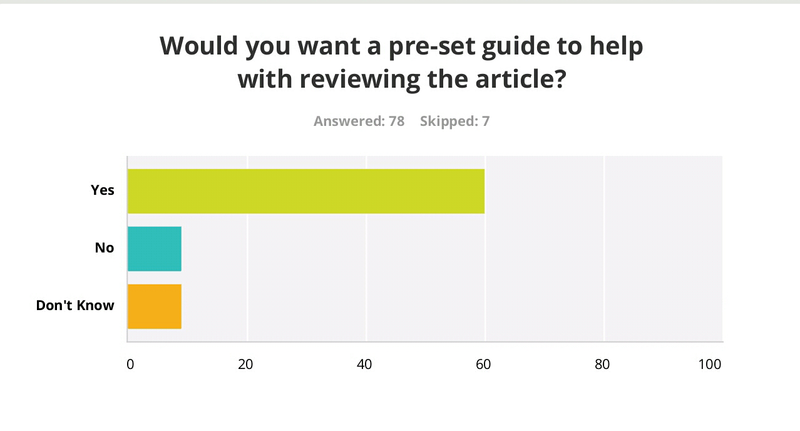 With reference to utilising guides for reviewing media indicated that many people would like a pre-set guide. However a number of comments indicated that individuals would not want this to be compulsory. Therefore we propose that the host for each month will identify which tool they will be utilising for the discussion. Individuals can then chose to use this, another tool or no tool. We will include a selection of tools as suggestions to help individuals select the most appropriate for the resources and or individual preference. 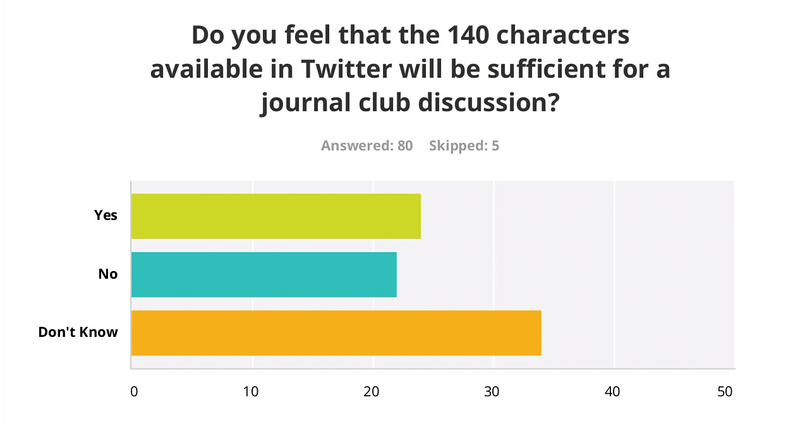 Finally we would like to thank everyone who has indicated that they would like to host a journal (media) club discussion. We will be contacting each of you individually over the next few days and weeks. 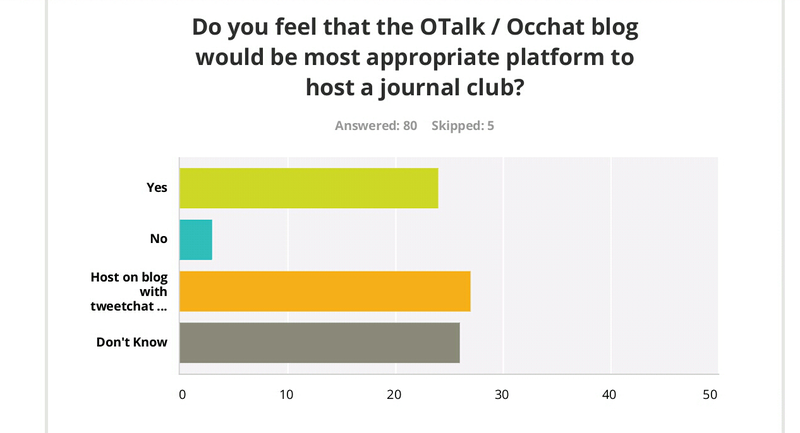 However if you have not already indicated you would like to host a journal (media) club discussion, please email OTalk.Occhat@gmail.com and we will add you to the list. We are very excited about this new adventure and look forward to seeing how it develops.